Annemarie Rosciano DNP, MPA, MSN, ANP-BC is full time faculty in the Adult-Gerontological Nurse Practitioner Program at Stony Brook University School of Nursing. Dr. Rosciano completed her Doctor of Nursing Practice at Case Western Reserve University May 2016, and her Masters of Science in Nursing and an Advanced Practice Degree in Adult Health from Adelphi University, Masters in Public Administration at Long Island University at C. W. Post., and a Bachelor Degree in Nursing at Adelphi University. Dr. Rosciano’s scholarship program is a true blend of education and advance practice nursing. Dr. Rosciano’s academic scholarship is based upon transforming the learning process from a traditional classroom centered learning environment to an active learning environment. Past publications of Dr. Rosciano reflect dynamic learning strategies and include, The Effectiveness of Mind Mapping as an Active Learning Strategy among Associate Degree Nursing Students, Implementing Cooperative Learning into Nursing Curriculum. Dr. Rosciano implements group learning strategies to facilitate a combination of interdependence and communication to benefit each individual student’s learning experience. Dr. Rosciano supports a collaborative environment, both academically and professionally and believes this is essential to achieve safe quality patient outcomes. Promoting a student environment of cooperation, communication, and team building bridges the gap to shape inter-professional collaborations for students to advance in their role as healthcare professionals. Active learning, problem-based learning, and leading discussion continue to be her research concentration to inform educators and enhance scholarship among advanced practice nurses. 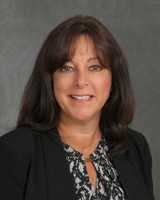 In 2013-2014 Dr. Rosciano received a New York State Title III Student First Grant to research the implementation of a remediation program for nursing students to pass the RN-NCLEX. In 2014-2015 she received the Theresa Patnode Santmann Grant for her research in the use of intuition among nurse practitioners in clinical practice. In 2016, the national Journal of Nurse Practitioners published her research in Nurse Practitioners’ Use of Intuition. Dr. Rosciano’s experience is based on a broad range of NP practice over the past fifteen years that includes primary, palliative and subacute care. Dr. Rosciano serves as a role model and creates an environment of clinical practice at the highest level and scope of practice achieving the Institute of Medicine’s vision for full practice authority. Over the past year and a half she functions as a mentor for nurse practitioner students who are participants in the PACE Program, an inter-professional collaboration with the School of Social Welfare, and Dentistry at the Stony Brook University Dental Care Clinic; providing comprehensive wellness screening for the older adult. Additionally, she mentors Adult and Family Nurse Practitioner students at a New York State based non-for profit foundation that screen youth for cardiac abnormalities. Dr. Rosciano was the recipient of the Nurse Practitioner of Excellence Award from Saint Catherine Medical Center in 2012, was Past President Elect for Chi Gamma chapter of Sigma Theta Tau, and is a member of Sigma Theta Tau International, and Alpha Mu Honor Society at Case Western Reserve University. Active learning strategies; Mind Mapping, Team Based and Problem Based Learning Strategies, and the Use of Intuition in Clinical Practice. Principle Investigator 2015, Nurse Practitioners’ Use of Intuition. Theresa Patnode Santmann Grant. Primary Investigator 2014, The Effectiveness of Mind Mapping as an Active Learning Strategy among Associate Degree Nursing Students. Primary Investigator 2013, The Effectiveness of a Structured Remediation Program to Pass the NCLEX-RN Examination. New York State Title III Student’s First Grant. Rosciano, A., & Cherkis, F. (2013). Implementing Cooperative Learning  Into Nursing Curriculum Long Island Education Review Peer Reviewed Research Journal for Educational Professionals,12 (1), 11-14. Rosciano, A. & Cherkis, F., Mind Mapping: A Creative Student Learning Strategy. The 8th Annual Conference on Higher Education Pedagogy at Virginia Polytechnic Institute and University, Blacksburg, Va. February 2016. International. Rosciano, A. & Cherkis, F., Implementing Cooperative Learning into Nursing Curriculum. The 7th Annual Conference on Higher Education Pedagogy at Virginia Polytechnic Institute and University. Blacksburg, Va. February 2015. International. Rosciano, A., Nurse Practitioners’ Use of Intuition. Invited presentation at Stony Brook University School of Nursing Research Day, Stony Brook, NY, 2016. Regional. Rosciano, A., New York League of Nursing and Sigma Theta Tau Zeta Omega  Poster presentation titled, Mind Mapping: An Active Learning Strategy was accepted 10/28/16 and 10/29/16 at the Tricks, Treats, & Technology: Tips to Engage & Inspire, Regional. Rosciano, A., Nurse Practitioners’ Use of Intuition. Poster presentation at the 32nd Annual Nurse Practitioner Association of New York Conference, Niagara Falls, New York, September/October 2016, Regional. Rosciano, A. & Cherkis, F., Farmingdale State College Center for Teaching and Learning. Title III Grant: The Effectiveness of a Structured Remediation Program to Pass the NCLEX-RN Examination. Farmingdale, New York, 2015, Regional. Rosciano, A. & Cherkis, F., Implementing Cooperative Learning into Nursing Curriculum at the 9th Annual Practical Symposium sponsored by the Department of Educational Administration Leadership and Technology at Dowling College, New York, 2014, Regional. Rosciano, A. & Cherkis, F., Poster presentation Strategies to Remodel Traditional Nursing Education. Presented at the 2013 International Narrative Pedagogy Conference: Reflection and Dialogue: Meaningful Narratives in Education, Practice & Research  at Farmingdale State College, New York, 2013, Regional. Rosciano, A., An Interdisciplinary Approach to Diabetes. Interdisciplinary Faculty Seminar at Farmingdale State College, New York, 2012, Regional.